When I first got my Thermomix I made lots of lists of what I wanted to make, when I was going to make it and what I needed to make it. I was house-sitting at the time so I found myself needing to buy a lot of essentials. At first it was just things like plain flour and arborio rice. Then I had to buy bicarbonate of soda and cream of tartar to bake with. And white wine vinegar, sesame oil and fish sauce to cook with. The list just seemed to grow and grow. Most of these item I had back at home but not in the cupboard where I was house-sitting. 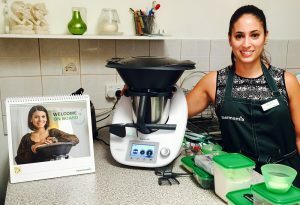 This got me thinking about new Thermomix owners who may have just moved into their new home or maybe just started their new journey as home cooks. 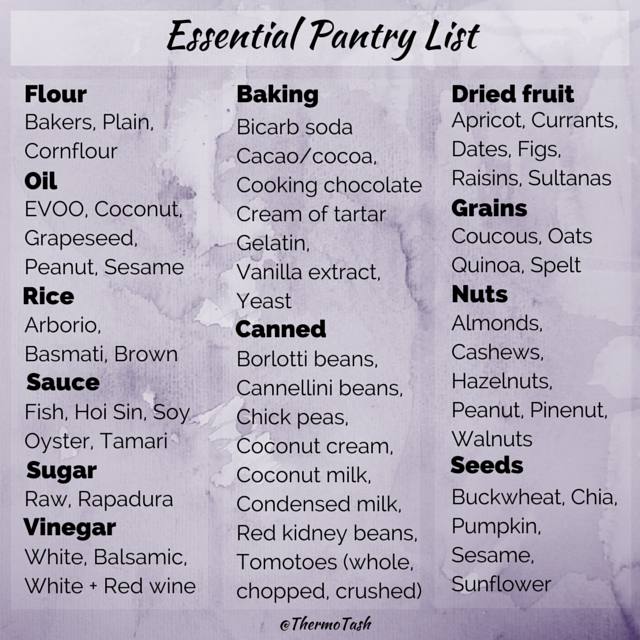 So I made this quick reference guide of essential items for your pantry. 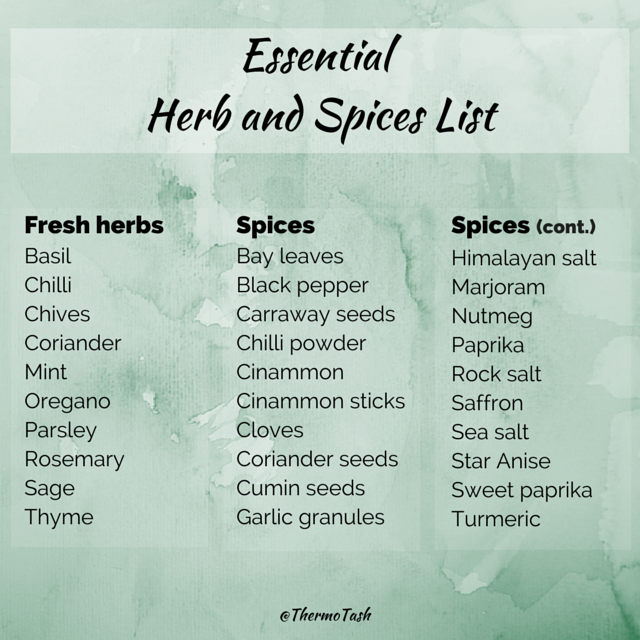 I also made this guide for fresh herbs and essential spices. Of course there are plenty of other herbs and spices out there but I found these were the ones I needed the most often. I’m still on hubby’s case asking him to make me a herb garden but he knows that with my black thumb it will be his responsibility so I guess that’s why he’s taking his time lol!